UK (Glengarnock, Ayrshire) based company - established in 1987 - providing bicycles, bicycle accessories and fishing tackle/accessories for sale (as well as offering bicycle repair services). 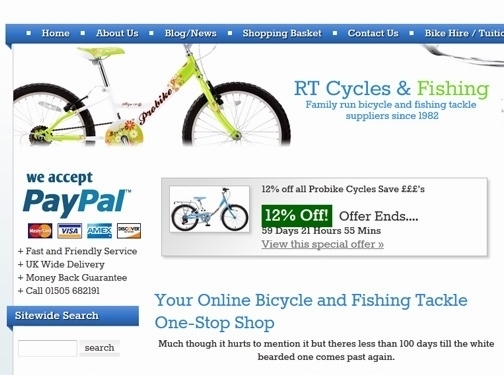 Website includes e-commerce facilities, delivery and returns information, FAQ, full company contact details. Website has been online since 2009 according to web.archive.org.